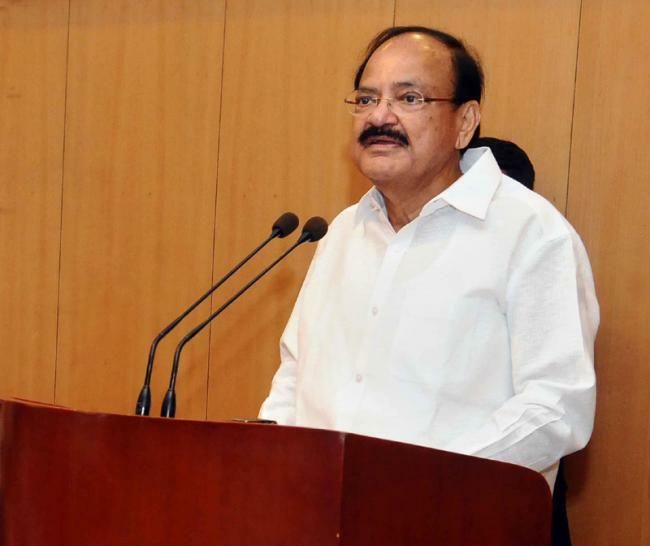 Guwahati, Dec 4: Vice President M. Venkaiah Naidu on Sunday said the media was supposed to avoid sensationalism, report news without coloring with views and appealed them to create awareness about the challenges confronting the nation. The media must always be free, fair and objective to champion the cause of the underdogs, he said while addressing the gathering after giving away Pratidin Achievers Awards 2017 here. "Unfortunately, there is an increasing tendency in the newsrooms of the print and electronic media to sensationalise isolated incidents while relegating real hard news to the background. In the long run, this will not only cause damage to the credibility of media but will harm democracy itself as media will not be able to perform its role of an independent watchdog," he said, according to an official statement. While appreciating Pratidin Group for recognising excellence in different fields, he made an appeal that "such media houses to conduct campaigns and competitions on issues such as Swachh Bharat to promote awareness on cleanliness and sanitation". "Maybe, its TV channel must encourage the cleanest mohalla or locality by giving wide coverage. Such promotional coverage will not only help in creating awareness but also inspire others to follow suit," he said. The Vice President also said that awareness should also be created on fighting various challenges confronting the nation such as growing atrocities on women, dangers of drug and alcohol addiction, casteism, religious fundamentalism, corruption, illiteracy and terrorism. "Increasing depiction of violence, vulgarity and obscenity in cinema is another area of concern which needs to be highlighted by the media," he said.